We will create a safe and supportive environment to encourage energetic shifts, uncovering your true essence within. 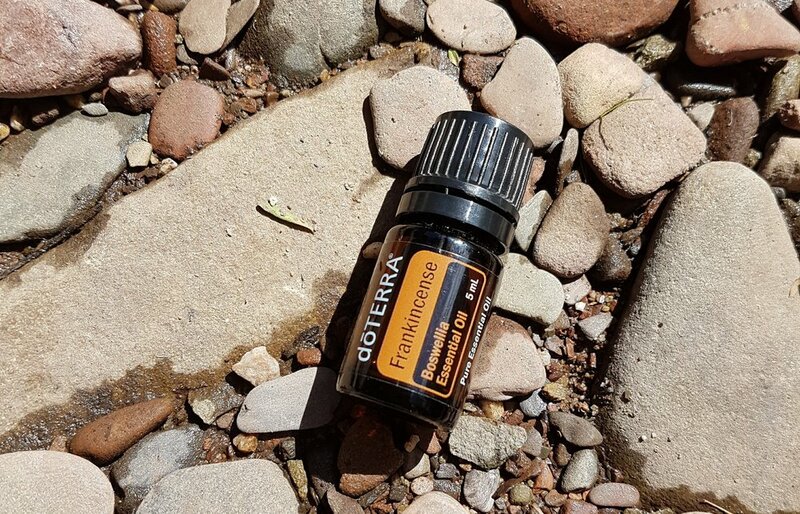 You will walk away feeling balanced and enlivened. A healthy lunch and snacks with be provided with time to walk in the surrounding bush or swim in the onsite pool. This retreat is specially designed for people who are open to exploring their practice in more depth and open to all levels. I'm in, book my place! Kylie has been practicing yoga for 14 years and teaching for 7 years. The style she is most passionate about is vinyasa yoga and enjoys adding some suggestive personal enquiry, intention setting, creative sequencing and perspective changing concepts to her classes. 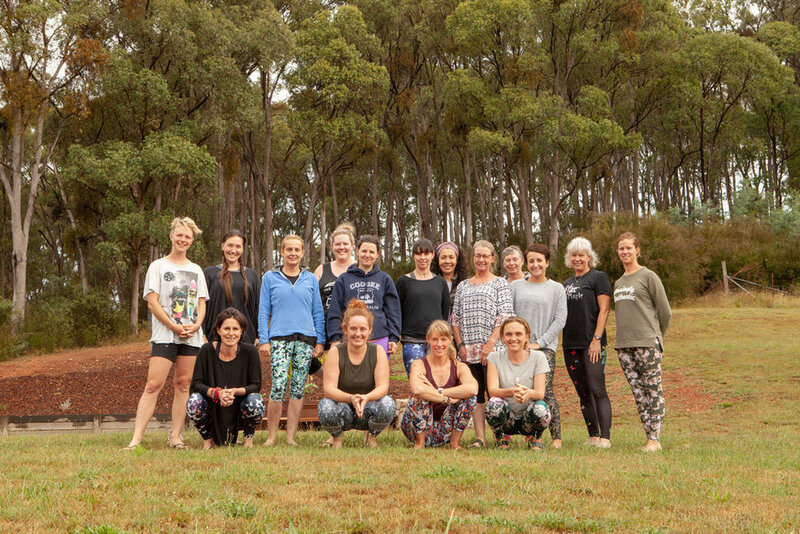 Kylie has trained both overseas and locally and is fascinated and inspired by the broader concepts of what the life changing practice of yoga has to offer, both on and off the mat. 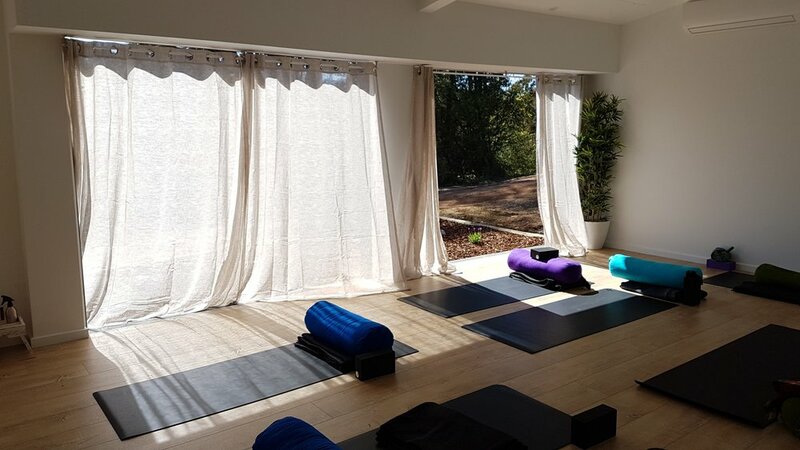 Official trainings have included 500+ Hours of Hatha, Ashtanga and Forrest Yoga influenced Power Vinyasa Yoga with Julia McCabe Yoga, Prenatal & Restorative Yoga with Bliss Baby Yoga, and most recently 100 Hour Advanced Yogic Anatomy Training with Irene Ais on energy anatomy and the 5 koshas. Kylie is a Yoga Alliance and Yoga Australia Level 2 (500 Hour RYT) Registered Teacher with over 1000 hours of teaching experience and is passionate about spreading the love of yoga in her local and global communities. You can read more about Kylie here. 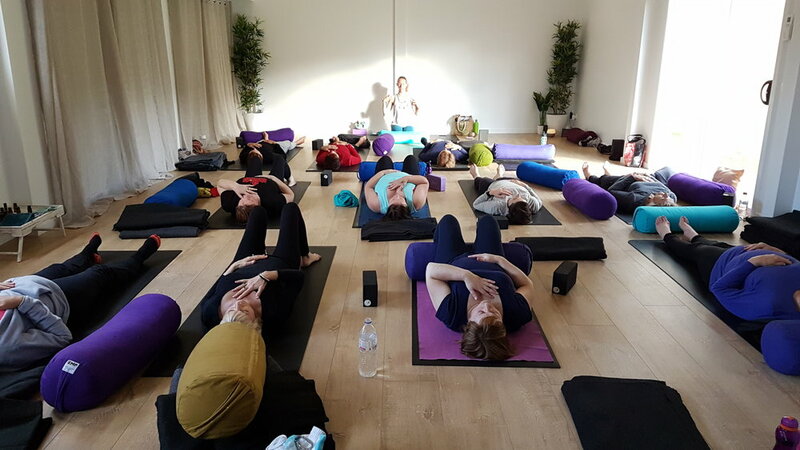 Emily has been a student of many styles of yoga over the past 20 years but particularly loves to teach a strong yet slow flowing vinyasa style, that blends alignment based principles to build strength with a softer mindful, often philosophical side. 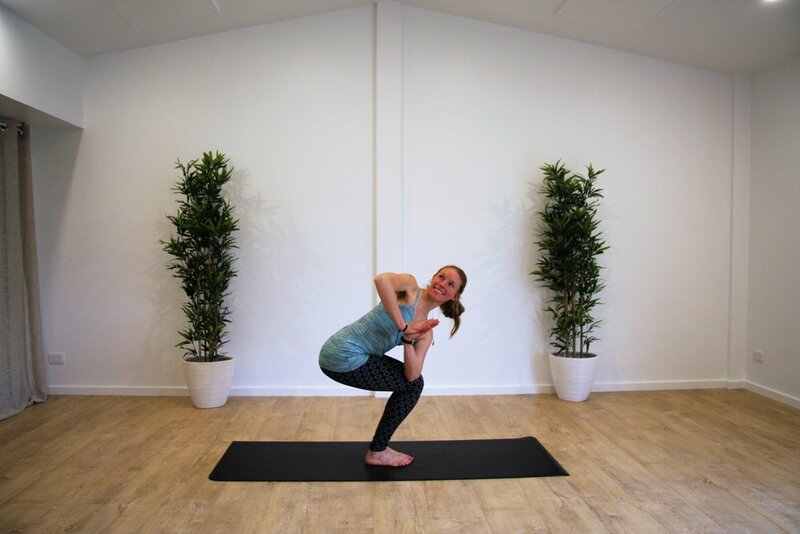 Emily has over 500 hours of teacher training (including Vinyasa, Yin, Restorative, Prenatal and Kids yoga), has been teaching for 5 years and is registered with Yoga Australia. She is currently undertaking further study in Mindfulness Meditation teaching and is passionate about bringing the life-changing practices of Buddhist meditation and philosophy into her classes and retreats. 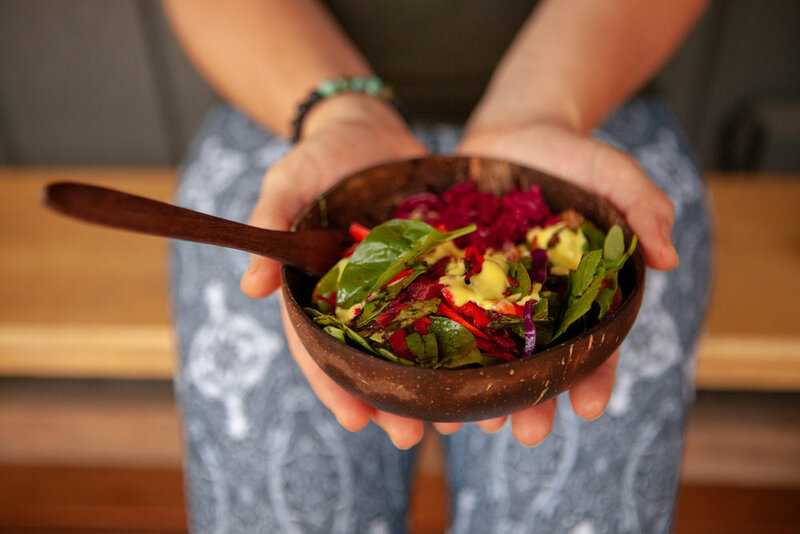 Emily loves whole foods, nature, adventures in the mountains, taking action on injustice, teaching and above all connecting people in love and kindness through yoga. You can read more about Emily here. Looks amazing, book me in! Porepunkah is a small town on the Ovens River at the base of Mt Buffalo, just 5 minutes from Bright. Foodies will love the close proximity to the region’s amazing local produce, breweries, coffee roasters and wineries. Outdoor adventures have so many activities to choose from they’ll never want to leave (we know from experience!). 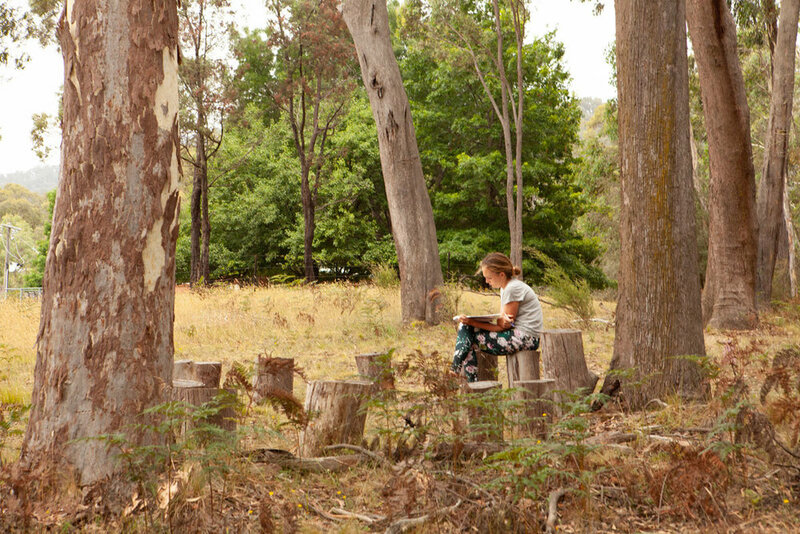 Yoga, walking, hiking, rock climbing, trail running, swimming in the rivers, cycling on the roads, rail trails and mountain park trails, skiing, paragliding… For more information go to www.visitbright.com.au. Warm, weather proof outerwear, just in case! Any allergies or diet requirements? 100% of the payment is required to secure your place. Cancellation less than 7 days – no refund. (unless place is transferred). If you decide after arriving at the retreat that it is ‘not for you’, you will not receive a refund. If we, the organisers cancel due to lack of sufficient numbers, by a certain date determined by us, you will receive a full refund. If there is a natural disaster in the area that prevents us from undertaking the retreat the organisers will make a decision as to the status of the bookings, in the best interest of all parties concerned. You will most likely receive a full refund. Book your place at this retreat today.